So What Were Marvel's Secret Wars? You are here: Home / Featured / So what were the Secret Wars? So what were the Secret Wars? In May 1984, Marvel released what can only be described as a classic series – one that they’re now revisiting. Marvel Super Heroes Secret Wars – commonly referred to just as ‘Secret Wars’ – was easily the first major ‘event comic’, a 12-issue epic that had unusual origins. Next year, Jonathan Hickman is going to helm a new iteration of this event, and so it seems appropriate to help catch readers up on the original! Ed Note: You can now also check out the Comic Book Herald Secret Wars reading order, from the original event to present day! Curiously enough, it all started with Mattel, who were interested in producing a range of Marvel action figures. They wanted an event comic to tie in with their range, and so Jim Shooter – then Editor-in-Chief of Marvel – proposed an event where all of the world’s key heroes and villains collided in an epic battle. Marketing found that the words ‘Secret’ and ‘Wars’ tested well, and so that was to be the title. Although not the first event – that honour goes to 1982’s ‘Contest of Champions’ – ‘Secret Wars’ was to have the most impact. A truly cosmic scope was set from the beginning! Today, the approach seems extremely odd; and yet, back in the 1980s, it wasn’t unusual to publish comics based on toy lines. Check out ‘Masters of the Universe’, ‘G.I. Joe’, ‘Micronauts’ (an old favourite of mine in comic-book terms), or ‘ROM: Spaceknight’. You can still find a semblance of this approach today, but the modern version is usually tied to films or console games – think the ‘Halo’ comics and novelisations, or ‘The Force Unleashed’ novelisations. Critically assessing the comic book industry at the time, Shooter realised that he couldn’t ask any of the conventional writers to be in charge of this event comic. The egos were too great, and the writers were too emotionally tied to their favourite characters. Each creator would add an inherent bias that would damage a storyline intended to encompass the whole Marvel Universe. Instead, Shooter decided to run the project himself. He reportedly micromanaged it, using the opportunity to push through key changes to all of the runs. Of one thing he was convinced: for this story to work, it had to change the shape of every comic book series it touched. 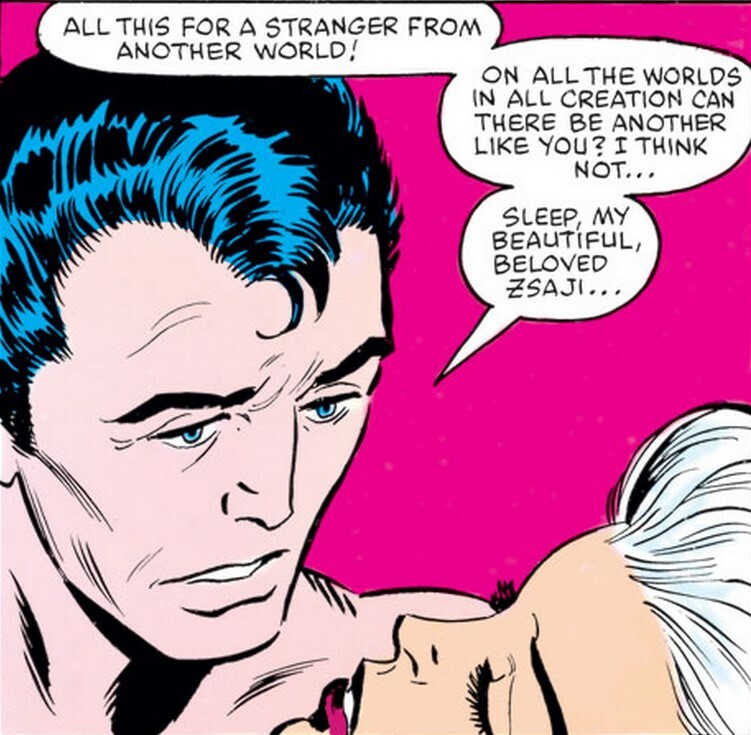 Just one of the many changes Shooter made was to have Colossus falling in love, which would cause the end of his relationship with Kitty Pryde. Shooter had disliked that relationship given the age-difference between the two characters. Shooter’s plotline drew key heroes on to Battleworld, pitting them against one another at the request of the monstrously powerful Beyonder. The character is a fascinating one, and acts almost as a stand-in for the readers – the heroes and villains battle at the readers’ behest. Interestingly, Shooter divided the cast into three, not into two: heroes, villains, and X-Men. This division, with the mutant race isolated from the rest of the broader Marvel Universe, was a subtle one that would shape perceptions of the X-Men for decades to come. Ben Grimm was depowered, forcing the Fantastic Four to recruit a new member – She-Hulk! The relationship between Colossus and Kitty Pryde was ended, with Colossus falling in love while on Battleworld. 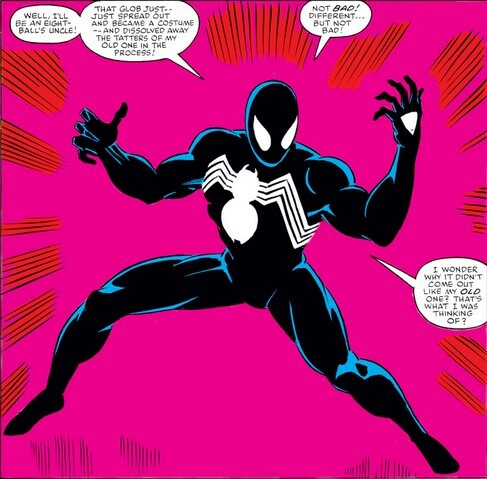 Spider-Man gained a new costume, a sinister black outfit that would be revealed as a symbiote and become fan-favourite Venom. The series is truly filled with iconic moments! Just these three examples illustrate how important ‘Secret Wars’ was to the different books. And yet, in a sense the series’ impact runs beyond any mere list of events. Shooter started a new type of comic: an ‘event comic’, a miniseries dedicated to a single event, with spin-offs and impacts covered in other books in the range. DC Comics copied this, and it soon became deeply ingrained in the comics industry. Secret Wars Watch – The Sections of Marvel’s 2015 Battleworld! 2099 – World of Tomorrow! Nice write-up, I read this this year when i got MU and wanted to catch up on the Marvel universe, and it was a pretty cool story even from today’s perspective. 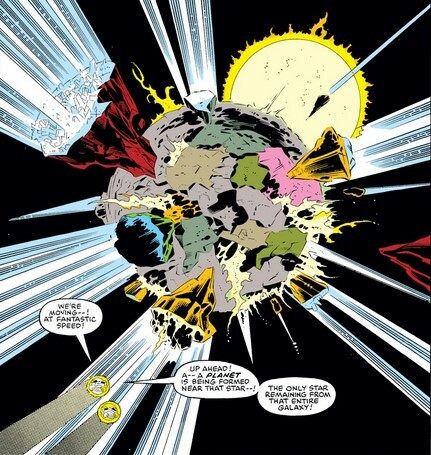 But oh god, please not the Beyonder again today. I can’t imagine many new storylines for him that wouldn’t be cringe worthy. That character is just done after rewriting the universe every other issue in that other event when he came back to experience our universe . I was surprised how much I enjoyed the solo Beyonder story within New Avengers: Illuminati from Bendis and Yu. As I remember, that issue ends pretty inconclusively and could open up a lot of possibilities. All that to say… I’m tentatively excited. I absolutely love the original Secret Wars, so I’m also totally biased. That piece you put together on mahmuse blew my mind. Holy smokes!